A historical legacy of displacement and exclusion, firmly rooted in racism and discriminatory public policy, has fundamentally restricted access to land and housing and shaped ownership dynamics, particularly for people of color and low-income communities. Today, many communities across the country are facing new threats of instability, unaffordability, disempowerment, and displacement due to various economic, demographic, and cultural changes that are putting increased pressure on land and housing resources. As communities and policymakers alike consider ways to confront these threats—especially within the context of the urgent need for community and economic development—there is an emerging opportunity to develop strategies related to land and housing that can help create inclusive, participatory, and sustainable economies built on locally-rooted, broad-based ownership of place-based assets. 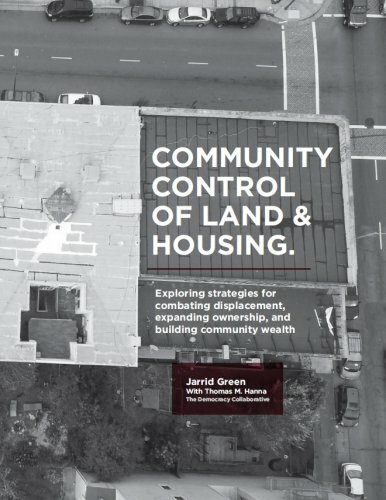 This report provides an overview of strategies and tools that, as a group, represent an innovative and potentially powerful new approach—one that establishes, in various ways, community control of land and housing. These strategies and tools can 1) begin to institutionalize democratic control of land and housing, 2) support racially and economically inclusive ownership and access, and 3) catalyze the deployment of public resources to support new norms of land and housing activity. Importantly, “anchor institutions”—large not-for-profit entities, such as hospitals and universities, that are rooted in local communities—can play a key role alongside community organizations and local governments in catalyzing and supporting such strategies.